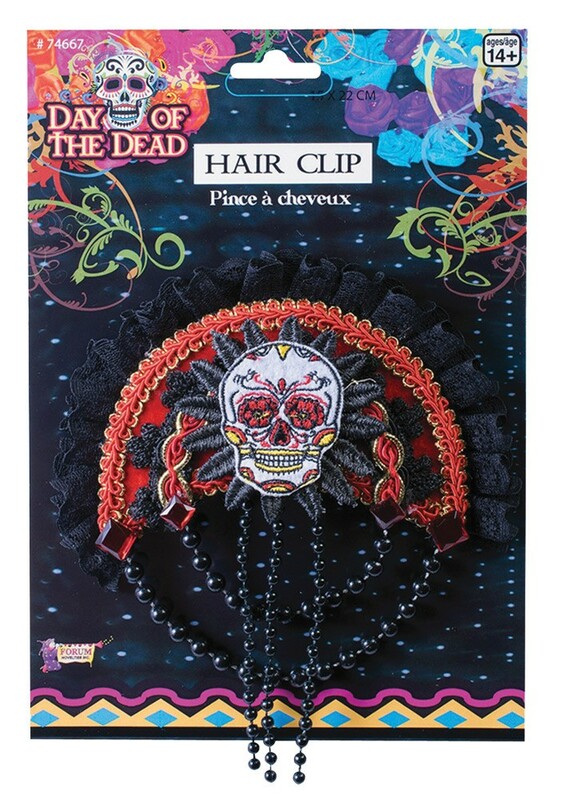 This lovely hairclip is the perfect accessory for your Day of the Dead costume. 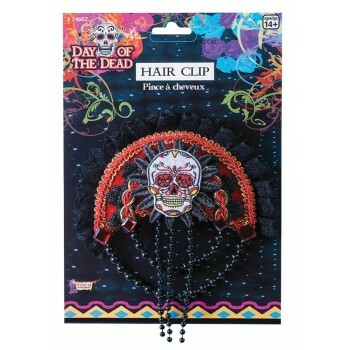 Black rolled lace with alternating red and black accents with a brightly colored sugar skull in the middle. One size fits most.